Hoffman's Composite Toe Armor Pro boot (Stark) is one of the toughest boots they've developed. 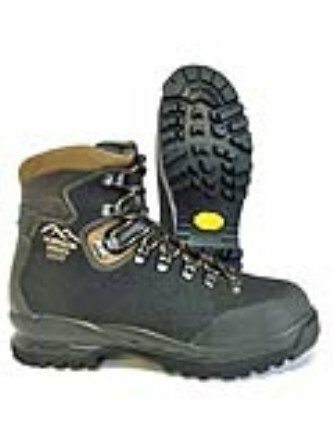 This rugged 6 inch mountaineer hiker is coated in "stark" material (similar to truck bed lining) making it cut resistant, adding another level of waterproofing, and extending the overall life of the boot. Padding in the ankle area and their dual shank system take ease of wear to the next level. If you're looking for the perfect blend of comfort and durability, look no further than the Armor Pro.